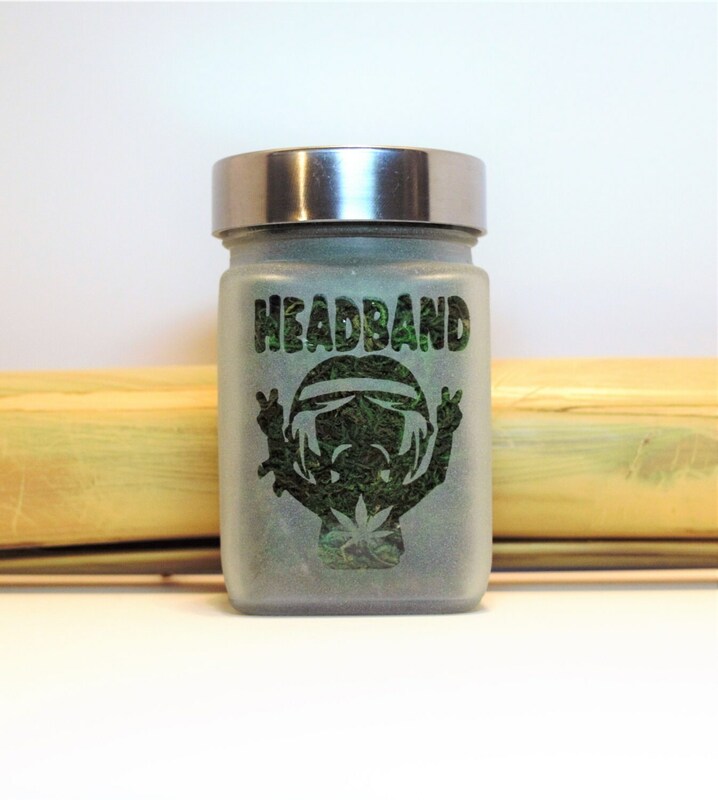 Etched glass Headband personal stash jar inspired by Marijuana Strains. 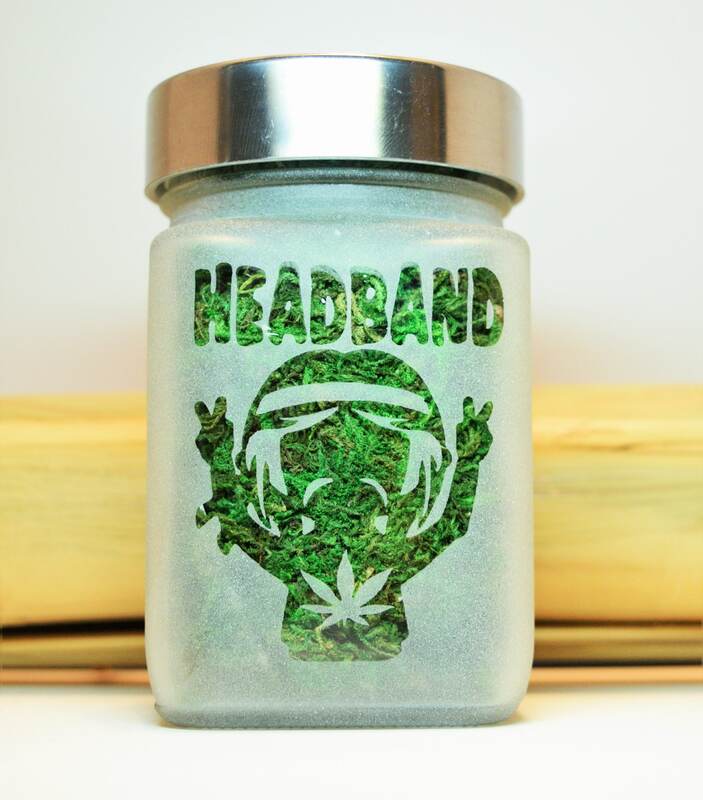 Keep your herbs & mmj fresh. 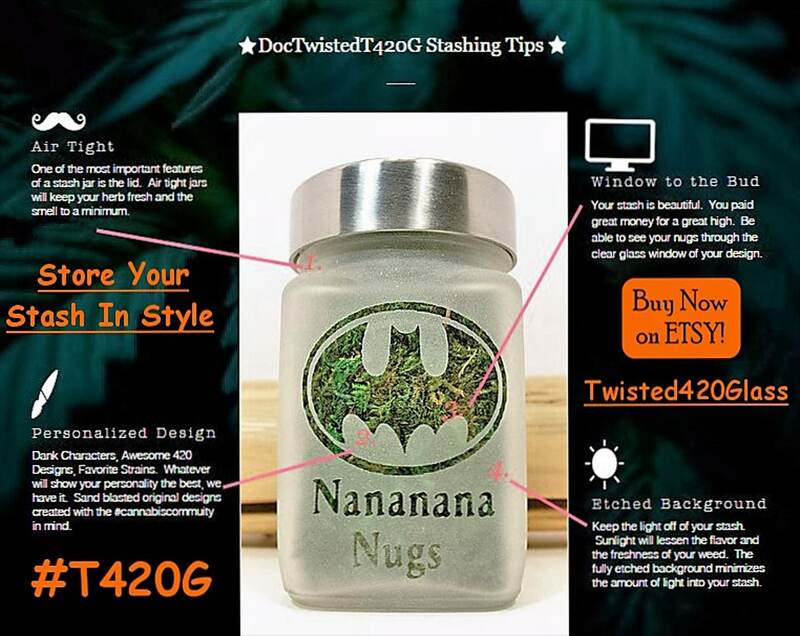 Food grade medical marijuana stash jar, brushed aluminum screw on lid. 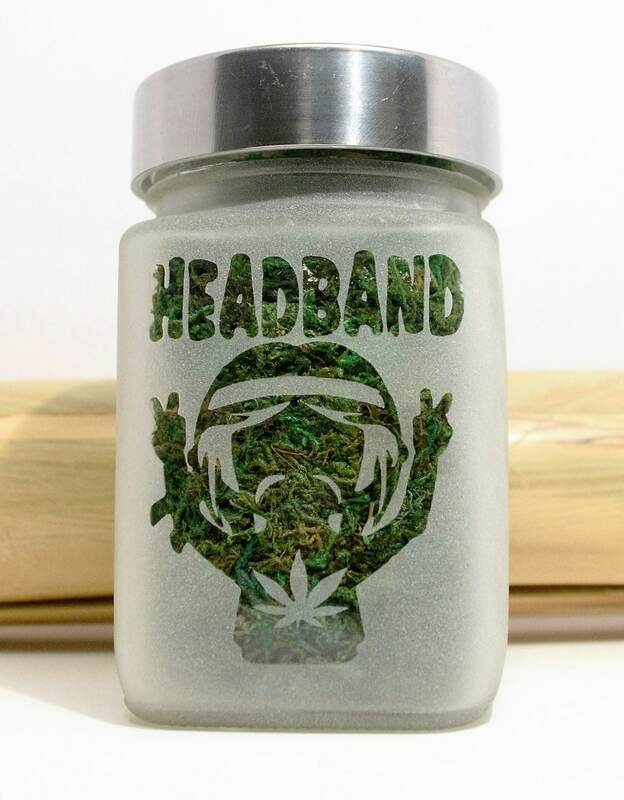 Headband Stash Jar size roughly 2.5"w x 3.5"T. Perfect weed accessories to go with your stoner gift. 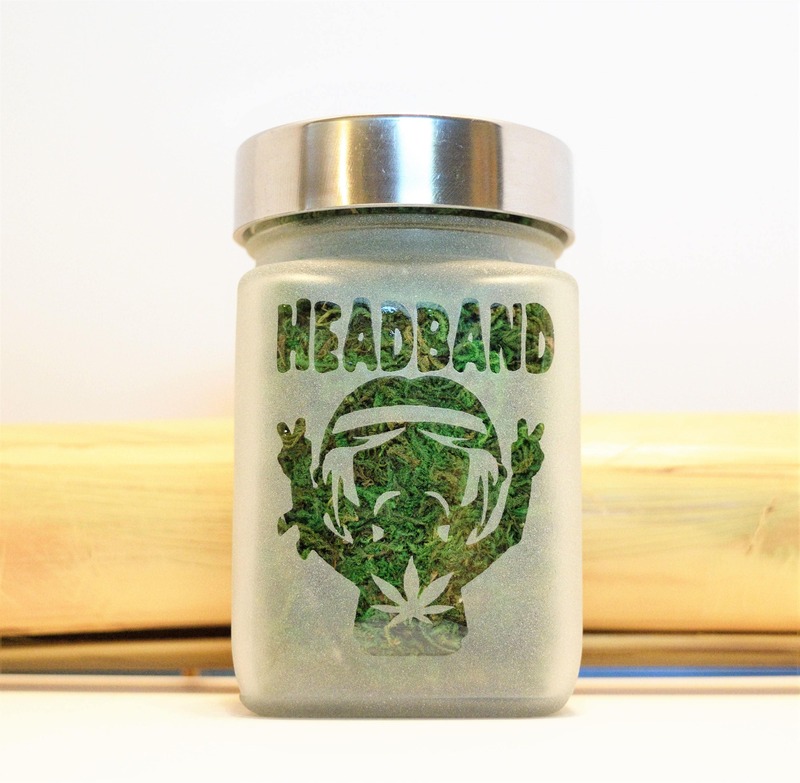 Note: The medical marijuana image in photo has a Green back drop. When it arrives to you the Headband logo will be clear glass. All other sides are solid etched.